May 27, 2014 – A groundbreaking new study to be published in the June issue of Obesity, the journal of The Obesity Society, confirms definitively that drinking diet beverages helps people lose weight. 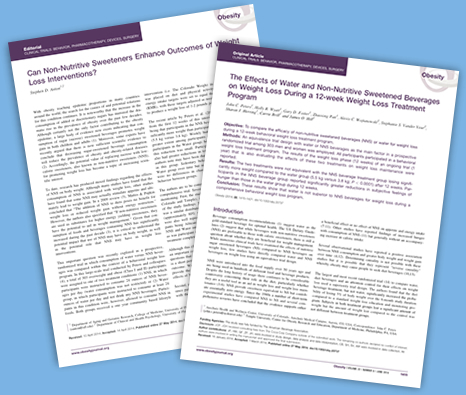 The 12-week clinical study of 303 participants is the first prospective, randomized clinical trial to directly compare the effects of water and diet beverages on weight loss within a behavioral weight loss program. 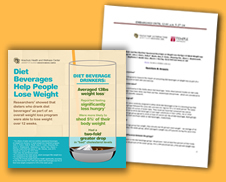 Conducted simultaneously by researchers at the University of Colorado Anschutz Health and Wellness Center in Aurora, Colorado and Temple University’s Center for Obesity Research and Education in Philadelphia, the study shows subjects who consumed diet beverages lost an average of 13 pounds – 44 percent more than the control group, which lost an average of 9 pounds. 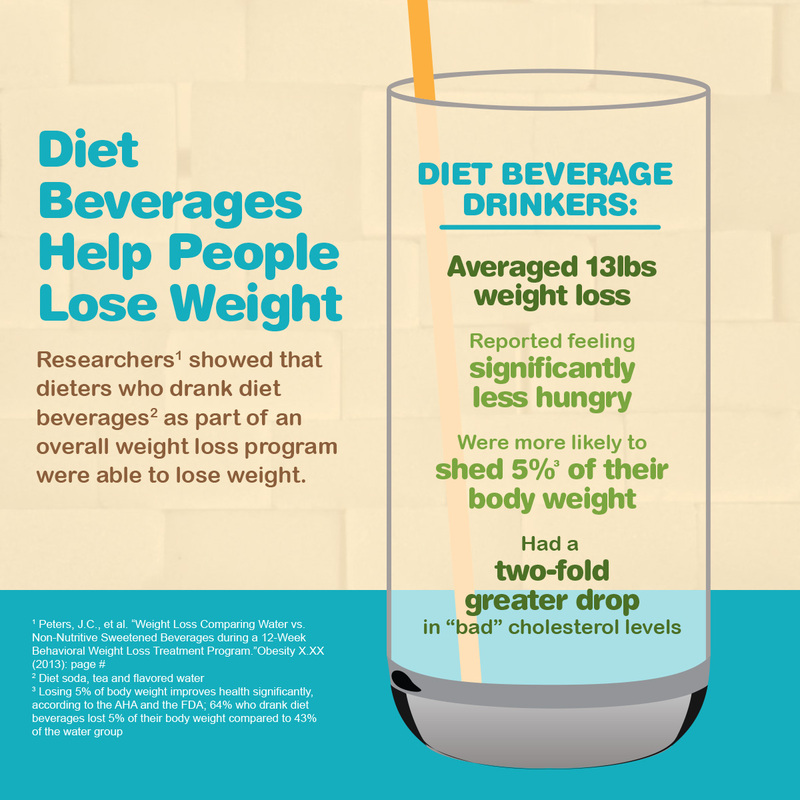 More than half of the participants in the diet beverage group —64 percent — lost at least five percent of their body weight, compared with only 43 percent of the control group. Losing just five percent of body weight has been shown to significantly improve health, including lowering the risk of heart disease, high blood pressure and type 2 diabetes. 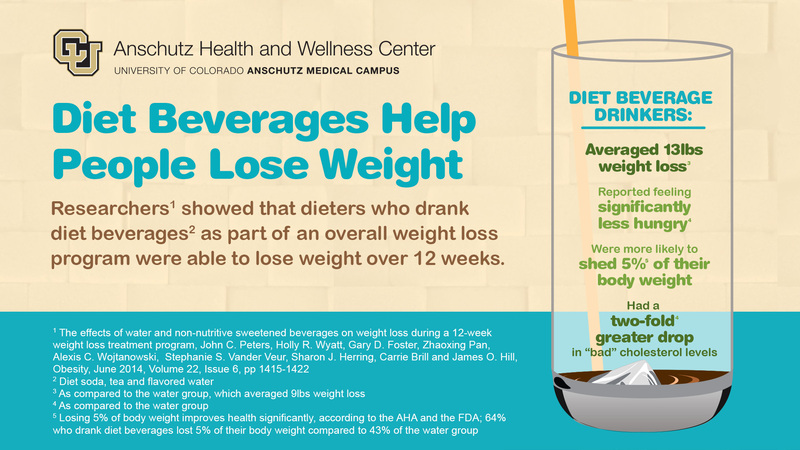 This latest study adds to the body of research demonstrating that diet beverages do not hinder, but in fact help, with weight loss. Two earlier peer-reviewed studies published in the American Journal of Clinical Nutrition by researchers from the University of North Carolina in 2012 and 2013 randomly assigned non-dieting participants to drink either water or diet beverages. While both groups cut their food intake significantly, after six months the diet beverage group had a greater likelihood of reaching a meaningful (5 percent) amount of weight loss compared to the control group. The diet beverage group also experienced a greater reduction in dessert consumption than the water group. Overall, the findings suggest that diet beverages do not fuel a preference for sweet foods and drinks. To view and download videos above, click here. To view and download image, click here.